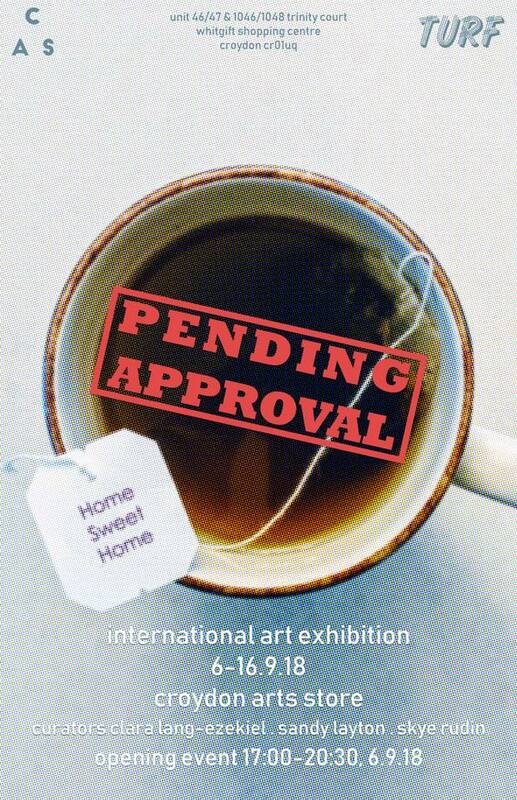 "Pending Approval" - an international art exhibition from Kingston School of Art MA students opens Thursday 6th September from 5 to 8:30pm. The show will be on display until the 16th of September. The show is curated by Clara Lang-Ezekiel, Skye Rudin, and Sandy Layton and features their work along with work by Chloe Hurst, Jue Sota, Jin YuChin Hsieh, and Mila Fan.